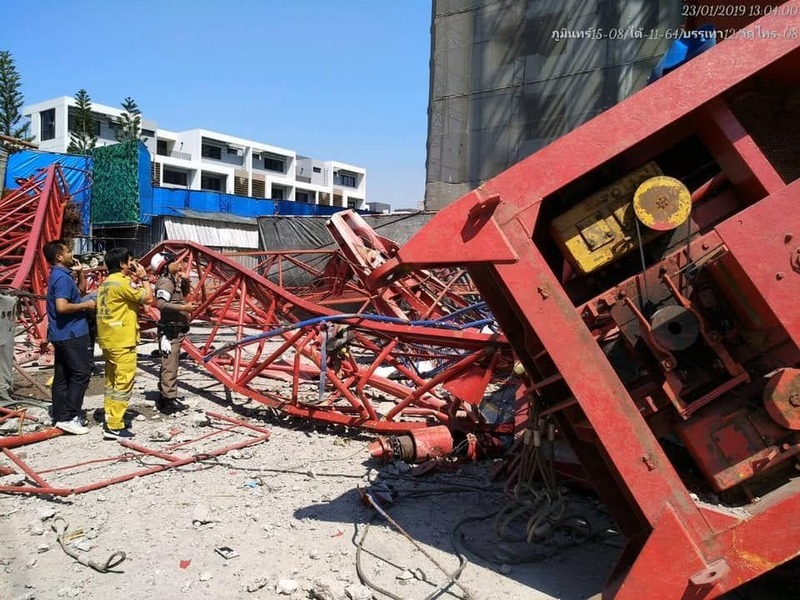 Four workers were killed and five others injured when the top part of a crane broke off and fell on them at a condominium construction site on Bangkok’s Rama 3 Road this afternoon. The fallen section of the crane hit the fifth floor of a building in the Lumpini Park Riverside project. Four male workers were killed on that floor and another five injured. The accident happened at about 12:15pm on Soi 45 off Rama 3 road. A worker said he heard a loud noise followed by a large volume of dust appearing. 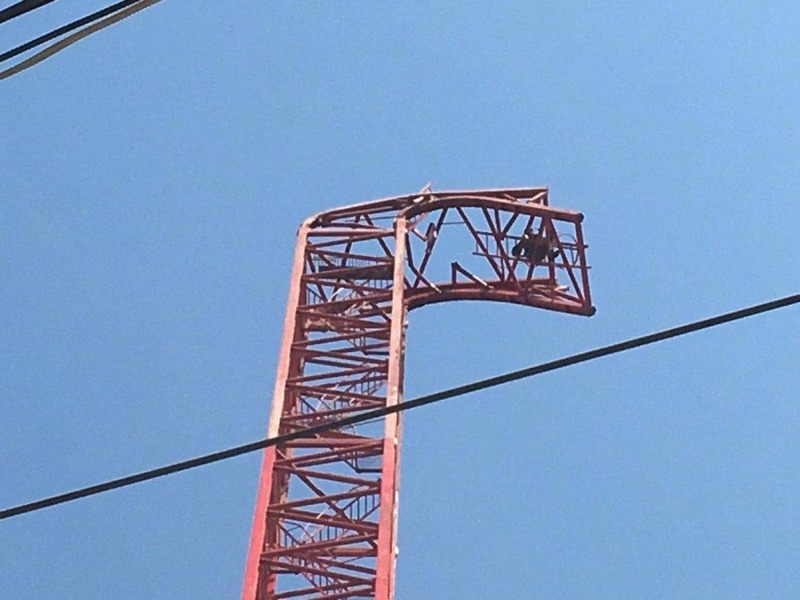 He looked up and saw that the top part of the crane had broken off. Officials have yet to investigate the cause of the incident.